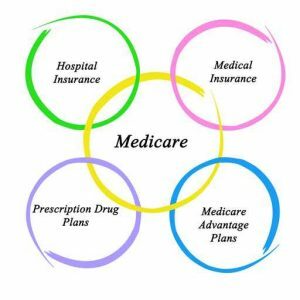 Medicare benefits can be very difficult to understand, even if you’ve been receiving these benefits for years. Our Attorney Bradley L. Greene, can help you understand your benefits, what they cover and what additional options are available to help you pay for medical expenses and long-term care services. Individuals aged 65 and older or people under the age of 65 with certain disabilities may qualify for Medicare benefits. Medicare benefits can help pay for health care expenses, but they don’t cover everything and coverage often runs out very fast. Medicare doesn’t pay for long-term care in nursing homes. Medicare benefits typically end after you spend a few weeks in a nursing home, leaving you responsible to pay the rest of the long-term care charges. Medicare coverage is often terminated too early. Our law firm will review Medicare claims to see whether you or your loved one is getting all the Medicare coverage they should. Our law firm can help you understand Medicare benefits. Headquartered in Beachwood with appointment only meetings in downtown Cleveland, we help clients throughout Northeast Ohio. To learn more about our law firm, call us at 216-575-5200 or contact us online.